The Fractal Design Define R3 case, recommended for Tier 3 and 4 of the Mainstream Workstations. With a great subtle professional look and sound-proofing, it's a great Workstation case in my opinion. Of course, if you don't agree with me, there are many alternatives cases that you can choose from instead. These are the Mainstream Workstations. The Entry-Level Workstations cover the ~$600-~$850 price range. 2. Which Tier and upgrades do you need? Replaces the previous $1250 Workstation. Equipped with an Intel Core i7-3820, 16GB of RAM in quad-channel and two hard drives in RAID 1, it is a very capable for the price. Takes performance up a few notches compared to Tier 3, with a six-core Intel Core i7-3930K, 32GB of RAM in quad-channel, two HDDs in RAID 1 and a 120GB reliable SSD. Which Tier/upgrades do you need for your workload? See this forum post to figure out which Tier/upgrades you need depending on your workload. 3. All Parts are interchangeable/compatible with each other. The only exception is the ASUS P9X79 WS motherboard, which requires a case that can handle SSI CEB motherboards. Post on the forums if you want us to double-check your build. Simply put, it is unmatched when you consider the features that it offers and its relatively low price for a fully loaded LGA2011 motherboard. For $250, you get eight RAM slots, solid CPU power delivery, four USB 3.0 ports, E-SATA and FireWire on the back of the motherboard + two more USB 3.0 ports via the USB 3.0 header, a bundled 2x USB 3.0 ports panel that can be installed either in a 3.5″ bracket on the front of your case or via a PCI bracket on a PCI slot on your case. The ASRock X79 Extreme 6 has two slots of space between the two main PCI-Express 16x slots, allowing you to easily use two video cards, with the top video cards to have enough room to “breathe” and run at safe temperatures. All of these reasons are why I’m recommending it for the Mainstream Workstations. If you don’t like it for any reason or are interested in alternatives, I recommend three alternative motherboards below. Two slots worth of space between the two main PCI-Express 16x slots, which gives the top video card some space to “breath” in order to stay at a reasonable temperature. A USB 3.0 header to plug in the case’s front USB 3.0 ports. Solid Power delivery components and solid cooling for them, ensuring that the motherboard won’t bottleneck your CPU overclocking. ASRock X79 Extreme 6 ports, expansion slots, features, what’s included in the box, etc. Ports on the back: 2x PS/2, 4x USB 2.0, 4x USB 3.0 (Two more on the front of the case with the USB 3.0 header), FireWire, E-SATA, 10/100/1000 Mbps RJ-45 LAN, 5 audi0 ports (for 7.1 sound), Coaxial + Optical S/PDIF Out and finally, a Clear CMOS button. Expansion slots: Three PCI-Express 3.0 16x slots (16x, 16x, 8x), two PCI-Express 1x and two PCI slots. Other connectors/features on the motherboard: Six fan connectors (Two 4 pins, four 3 pins), five SATA 6.0Gb/s, four SATA 3.0Gb/s, power and reset buttons, 4-pin Molex connector for additional power for the PCI-Express slots, USB 3.0 header (to be used with included bracket), two USB 2.0 headers (for up to four USB 2.0 ports coming from the headers in total), FireWire header, LED debug and SLI/Crossfire support. Included in the box: Motherboard, four SATA cables, two-way and three-way SLI dongles, I/O backplate, manual and CD. CPU Coolers compatibility: Only LGA2011 CPU Coolers are supported. Many LGA1155/1156/1366 CPU Coolers can be made compatible using an additional LGA2011 adapter. $253 – ASUS P9X79 LGA2011 X79 SATAIII USB 3.0 8xDIMM – This is a very good alternative to the ASRock Extreme 6, especially if you’re a fan of ASUS motherboards. The only reason that I don’t recommend it as my main recommendation is that it doesn’t have an USB 3.0 header, a shame considering its price. $330 – ASUS SABERTOOTH X79 LGA2011 USB 3.0 SATA III 8xDIMM – The ASUS Sabertooth X79 features a ceramic-coating on its heatsinks, to provide better heat dissipation, “TUF” Capacitors, Chokes and MOSFETS, which are certified by military standard to ensure greater durability and best of all, a 5 years warranty. 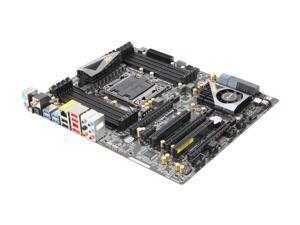 $380 – ASUS P9X79 WS LGA 2011 X79 SSI CEB – Note that this is NOT an ATX motherboard and that you’ll need a case that supports SSI CEB form factor motherboards to use it. With six PCI-Express 16x slots, including four of them that can run at PCI-Express 3.0 8x/8x/8x/8x, dual Intel LAN controllers and much more, the ASUS P9X79 WS is truly an high-end motherboard. Note that the recommended case for the Mainstream Workstations does not support it, so if you intend to use this motherboard, you’ll need a case that supports SSI CEB motherboards. Launched on February 14th 2012, the Core i7-3820 is the quad-core variant of the LGA2011 Sandy Bridge-E architecture. Equipped with Hyper-Threading, it can handle up to eight threads. With a 3.6GHz stock frequency, it’s the fastest quad-core CPU that Intel currently offers and if you combine that with its 10MB L3 cache vs 8MB for the Core i7-2600/2700, it makes the Core i7-3820 a slightly faster CPU. More importantly, by using the i7-3820, you get to use the LGA2011/X79 platform, which features quad-channel RAM, compared to dual-channel RAM. Also, with 1600MHz official support, you get over twice the RAM bandwidth compared to the LGA1155 platform. If you’re using programs that can use all the bandwidth that you can feed them, this will make a huge difference in performance. You also get PCI-Express 3.0, which is backward compatible with PCI-Express 1.0 and 2.0/2.1 products and which provides even more bandwidth for video cards, RAID cards and other expansion cards. A- Turbo, in which case the Core i7-3820, you can raise the frequency by 400MHz, or four Turbo bins. This means that the fastest your chip will run is 4.3GHz but with only one core active. If you have four cores active the fastest your chip can run is 4.0GHz. B- Raising the bclk: Unlike Sandy Bridge LGA1155 CPUs, Sandy Bridge-E LGA2011 CPUs can be overclocked by raising the bclk without any problem. If you want a fully unlocked LGA2011 CPU to make overclocking easier, via the multiplier, you’ll need to get either the K-series Core i7-3930K, recommended below for Tier 4, or the Extreme Edition Core i7-3960X. Do note that the Core i7-3820 does not include an Intel stock CPU Cooler, which doesn’t matter mind you, since I recommend an after-market CPU Cooler, to keep noise and temperatures in check. 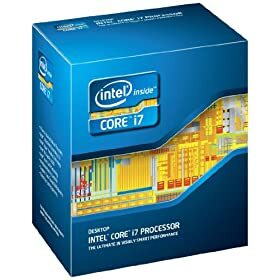 Why am I recommending the Core i7-3930K over the Core i7-3820 for Tier 4? Very simple: The Core i7-3930K is equipped with six cores and Hyper-Threading, enabling it to handle up to twelve threads. It also has a larger 12MB L3 cache, compared to the 10MB L3 cache of the Core i7-3820, giving it a further advantage on the Core i7-3820. Do note that the Core i7-3930K does not include an Intel stock CPU Cooler, which doesn’t matter mind you, since I recommend an after-market CPU Cooler, to keep noise and temperatures in check. Both of them have been hard to find in stock for some time now and while Amazon has some in stock, they are unfortunately priced above their MSRP. Newegg is “selling” them for lower prices, but nearly never has it in stock (when it does, it’s for 15 minutes…) and/or requires you to buy it with at least another part, as part of a “combo”, a move by Newegg that I despite. Hence why I’ve linked to Amazon, since they actually have it in stock and don’t require you to buy another part that you may not necessarily want. $1050 – Intel Core i7-3960X LGA2011 Six-Core 15MB L3 3.3-3.9GHz Unlocked – The best of the best. The Intel Core i7-3960X “Extreme Edition” is the fastest consumer CPU that money can get you. Compared to the Core i7-3930K, you get an additional 3MB of L3 cache and 100MHz more. You don’t buy this CPU because it offers a great bang for your buck, no. You buy it because you want THE fastest CPU available and/or as a bragging right. Not that I encourage it, but who am I to tell you how to spend your hard-earned money, right? 😉 Once again, do note that the Core i7-3960X does not include an Intel stock CPU Cooler. Outputs wise, you get a VGA, HDMI 1.4a and a Dual-link DVI-I connections. Why am I recommending Nvidia cards only for app acceleration? $1697 – PNY Nvidia Quadro 5000 352 CUDA Cores 2.5GB 320-bit DDR5 1xDVI 2xDP – Here you get an additional ~20% in processing power and 512MB more VRAM. $3858 – PNY Nvidia Quadro 6000 448 CUDA Cores 6GB 384-bit DDR5 1xDVI 2xDP – This is the fastest Quadro card available, offering an additional ~30% processing power over the Quadro 5000 and a LOT of VRAM, at 6GB. The $130 – SAPPHIRE Flex Radeon HD 6770 1GB supports 3 DVI monitors out of the box and a 4th one with an active Displayport to DVI (or VGA) active adapter. Now, note that each Sapphire Flex card only has a single dual-link DVI port, for monitors using a 2560 x 1600 resolution. If you have more than one monitor that uses such a high resolution, you’ll need to use this $96 – Mini DisplayPort to DVI Dual-Link Adapter for each additional 2560 x 1600 monitor. Looking for powerful Radeon cards for GPUPU or gaming on multiple monitors? The new Radeon HD 7xxx series offers powerful calculating processing power, if you’re into Bitcoin mining, GPUPU or simply want to play video cards at a high resolution or on multiple monitors. 16GB of RAM will easily let you handle the latest programs, especially when you have many files open at once or when you work with high resolution images or videos for example. I went with these Corsair sticks for their high reliability, compatibility with the majority of motherboards, low-profile heatsinks and great price. Note that all recommended kits, as well as alternatives, run at 1600MHz, seeing as LGA2011 CPUs officially support that frequency and that it will give you more bandwidth to take advantage of. For Tier 4, I recommend 32GB of RAM. 32GB of RAM will allow your PC to handle even more applications at once without slowing down, as well as handle many more larger files/projects without any problem. $210 – 32GB (4 x 8GB) DDR3 1600MHz 1.5v – This kit gives you the same quantity of RAM (32GB) as the Tier 4 kit, but instead of having it over eight sticks, you get over four sticks. The advantage of this? You still have four free slots of RAM, leaving you the possibility of upgrading to 64GB of RAM down the road by adding another 32GB (4x8GB). 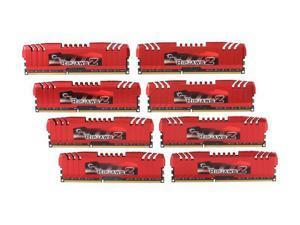 $427 – 64GB (8 x 8GB) DDR3 1600MHz 1.5v – Here’s a 64GB kit of RAM. If that’s not enough, you’ll have to wait for the High-End Workstations update, scheduled for March 2012, which will feature the Intel Xeon E5 CPUs and a dual-CPU platform. You lose a bit of write speed compared to a single drive (due to the overhead of copying the same data in real-time to two different drives), do gain read performance (Since the OS can read from both drives) and you only get the capacity of one of the two drives (Two 500GB drives in RAID 1 = 500GB total capacity). Plextor SSDs use a Marvell controller, similar to the one featured in the Crucial M4 SSDs, known for their outstanding reliability. Compared to the M4, the Plextor M3 offers slightly lower read performance, but higher write performance. Just as importantly, they offer a 5 years warranty and their SSDs are competitively priced, making them ideal for a Workstation. I recommended the 128GB model for Tier 4, but you can also use it for Tier 3 or you can go with the 256GB or 512GB models below. 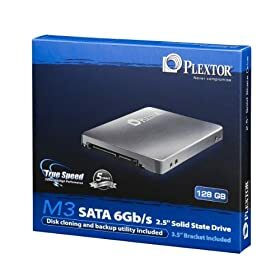 Do note that I do not recommend these Plextor SSDs for usage in RAID (SSDs in RAID, you can use a single SSD with hard drives in RAID, that’s fine), do to the garbage collection not being good enough when used in RAID, due to the lack of TRIM when SSDs are used in RAID. For SSDs for usage in SSDs RAID, I recommended the Intel SSDs below. While they cost more than most SSDs, Intel SSDs offer top-notch reliability, support, 5-years warranty and are ideal for RAID arrays, thanks to their great garbage collection, which does pretty much the same thing as TRIM, all automatically. $200 – Synology DiskStation DS212j 2-Bay (Diskless) Network Attached Storage (NAS) – Supports two hard drives. $440 – Synology DS411 Diskless System 4-bay NAS Server – Supports four hard drives. If you need a large capacity external solution, the $1050- Buffalo Technology DriveStation Quad 12 TB (4 x 3 TB) USB 3.0/eSATA – offers 12TB over four drives and can be accessed via USB 3.0 or E-SATA. If you’d like to watch BluRay movies or TV shows, or burn CDs, DVDs or Blu-Ray disks, this $98 – Sony Optiarc SATA 12X Blu-Ray Burner 3D playback will do the job. Based on various reviews and feedback on various forums, PowerDVD 12 3D Ultra is the software that I recommend to you. Note that you’ll need at least the Pro version for Blu-Ray playback. For $110, the Fractal Design Refine R3 is a great choice for a low-noise Workstation. Cooling wise, this case includes two low-noise 1350rpm 120mm fans, which are controlled by a fan controller that supports up to three fans. You can also add up to four additional 120mm and or 140mm case fans, to improve cooling if you decide to upgrade wish to. The best part of it and the reason that I recommend it for a low-noise Workstation, is that it features soundproof foam and other noise reducing techniques, reducing vibration and noise coming from the case. On the top of the case, you have one USB 3.0 port, two USB 2.0 port and an audio output and an audio output 3.5mm jacks. It has eight internal hard drive bays, with support for 2.5″ drives such as SSDs, allowing you to have plenty of drives for plenty of storage. It also supports video cards up to a length of 290mm, supports a 2.5″ drive (e.g. SSD or hybrid hard drive) and has dust filters. 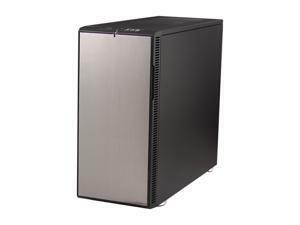 $100 – Fractal Design Define R3 Silver – Same case as the recommended one, but in a different color. This power supply has a maximum power output of 500W, not that should rely only on this information only as I often point in posts such as Warning: 6 Surefire Ways of Blowing Up Your Computer Due to an Inadequate Power Supply. More importantly, it can output a maximum of 36A on the 12V line, one of the most important factors when it comes to choosing a power supply. Best of all, it is 80 PLUS Gold certified, meaning that it’s always at least 87% efficient, resulting in less heat, more silence and a lower electricity bill for you, compared to a less efficient power supply. 375W for Tier 3: 500W is fine here. 400W for Tier 4: 500W is fine here. Upgrade to 550W if you intend to run 24/7 for years. 475W for Tier 4, with the CPU overclocked to 4.3GHz/1.35v. 600-650W recommended. For Workstations, I recommend an overhead of 100 to 200W for the power supply, to ensure reliable operation over the years, as the power supply components age and lose output capacity. If you decide to get a dedicated powerful video card (Geforce GTX 560, Radeon HD 6xxx or Quadro 600/2000/4000/5000/6000, I would recommend looking into a quality 550-650W power supply, such as the ones that I recommend below. A modular power supply is one that allows you to only plug in and only use the power cables that you actually need, instead of being stuck with a bunch of unused power cables that you need to hide somewhere in your case, that are resulting in less of a cable mess. $80 – SILVERSTONE Strider Plus ST50F-P 500W 80 Plus Bronze Modular – For Tier 3 and Tier 4 (not overclocked), if you want a well-priced modular power supply. Note that it’s “only” 80 Plus Bronze, compared to 80 Plus Gold for the main recommendation. $100 – Kingwin AP-550 550W 80 Plus Platinum – For Tier 3 and Tier 4 (not overclocked), if you want a very efficient power supply. Downside: Not modular. $160 – KINGWIN LZP-550 550W 80 Plus Platinum Modular – For Tier 3 and Tier 4 (not overclocked), if you want a very efficient power supply that’s also modular. 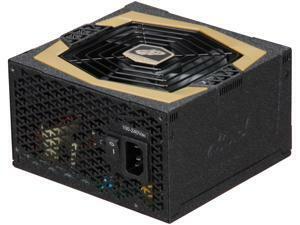 $91 – FSP AURUM GOLD 600W 80PLUS Gold – For Tier 3 and Tier 4 (even if overclocked), if you want a very efficient power supply. Note that it is not modular. $90 – Seasonic M12II 620W 80PLUS Bronze Modular – For Tier 3 and Tier 4 (even if overclocked), if you want a well priced modular power supply. Note that it’s “only” 80 Plus Bronze. $145 – Seasonic X-650 650W 80PLUS Gold Modular – If you want an highly efficient 80PLUS Gold power supply that’s also modular and that can also handle upgrades and/or overclocking. The $113- APC 700 VA 450 Watts 6 Outlets will be fine for Tier 3 or 4 as they are. Keep in mind that the UPS also has to power your monitor. The $135 – CyberPower 1350 VA 810 Watts 8 Outlets is my recommendation if you get components upgrades that draw more power, such as a more powerful video card, or if you decide to overclock. To keep your CPU temperatures lower, which improves the reliability of your PC and the longevity of your CPU and to keep noise at a minimum, something that the stock cooler can struggle to do at times, especially during prolonged work sessions, or in a warm room, I recommend the Arctic Cooling Freezer i30 CPU Cooler. With its PWM fan, which adjusts its speed depending on your CPU load/temperature, it only runs as fast as it needs to, keeping noise levels optimal. Note that since the Mainstream Workstations use CPUs based on the LGA2011, you need a LGA2011 compatible CPU Cooler if you decide to go with something different from my recommendations. If you intend to overclock, the Arctic Cooling Freezer i30 recommended above will be able to handle some extra thermal load but will become more noisy and will most likely bottleneck your CPU overclocking potential. I recommend upgrading to the Phantek PH-TC14PE CPU Cooler, which offers performance comparable to the Thermalright Silver Arrow and Noctua NH-D14, while being available in four colors! 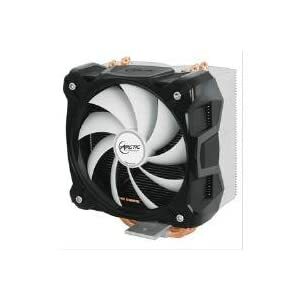 $130 – PHANTEKS PH-TC14PE_OR Orange CPU Cooler – Orange version. Phanteks are giving away PWM external adaptors for their PH-TC14PE CPU cooler. The PWM external adaptor will convert the PH-F140 fan into a PWM controlled fan. This will allow you to achieve the best balance between silence and cooling performance automatically. The new PWM external adaptor can be requested free of charge here, for all current Phanteks owners. Only a proof of purchase is required. Future shipments of PH-TC14PE series will include the PWM adapter. If you go with a different case that has no integrated fan controller, or desire to control more fans than the integrated fan controller can, I recommend the $26 – Sunbeamtech Fan Controller, 6 Channels, Up to 30W each , which will allow you to control up to six fans by default or even more if you use y-splitters and the like. This fan controller is capable of handling six channels (with several fans by channel if you daisy-chain them), with 30W (2.5A at 12V) available per channel. Do note that some cards uses the PCI interface, while some uses the PCI-Express 1x interface. Either one will do, just make sure that you have a free slot on your motherboard for your sound card. $30 – TP-Link WL TL-WR841N 300Mbps – A great basic no-frill fairly reliable 300Mbps router. $50 – TP-LINK TL-WR1043ND 300Mbps USB – Similar to the one above, but with an extra antenna and a USB port, to share a printer, storage, etc. $89 – D-Link DIR-645 300Mbps USB – Higher performance than the TP-LINK TL-WR1043ND, hangs out with more expensive routers, but at a lower price. 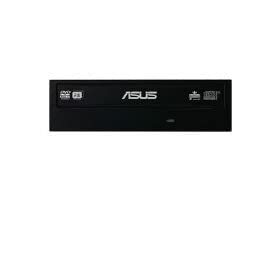 $129 – ASUS RT-N56U Dual-Band 600Mbps – High-performance dual-band router, with great looks too! $179 – Apple Airport Express 3×3:3 – One of the few routers that offers 3×3:3 for maximum throughput and range. Also one of the most user-friendly and one of the most reliable. Windows 7 Professional – Required for Tier 4 to support 32GB of RAM or more: If you want the virtual XP mode, you’ll need at least the Professional edition. Also required if you want to backup to a network, using the built-in backup mode in Windows. Also good to know: You’ll need at least the pro version to take advantage of Remote Desktop Connection. I took my sweet time for this latest version of the Mainstream Workstations, for I wanted to offer you the absolute best builds that I could deliver. I wanted it to offer a great level of reliability and performance, while being relatively quiet and easy to upgrade to. NextHardware Revolution needs your help! Tell us how well do video games run on your PC? Thanks! The tier 4 mostly matches what I was thinking of building. Only difference was 32 gb of Corsair ram like used for tier 3. …and a Raid 10 setup. Of all the ‘recommendations’ I don’t see a single one for an AMD cpu. Considering a general greater value for your money, the fact that it was left out tells me this site is either run by Intel fan boys or is pushing an agenda. So follow the ‘advice’ here at your own risk, it’s definitely misleading. For example, I’m running a decent gaming pc/workstation with a 3.1Ghz 8core AMD FX cpu that’s overclockable (unlocked) to 4ghz. The CPU is $200. If you’re doing java dev, it beats the pants off of the i7. Of course you don’t see a single AMD CPU. The Core i7 is on average, far faster than the FX, with lower power consumption. Even the FX 8150 is slower than the Core i5 2500K. AMD CPUs are terrible for the money at this point. I think you’re the fanboy here. actually not, but then again it depends on which benchmarks you look at because they are all different. anandtech usually has lower scores overall than guru, bit-tech, or even toms hardware. maybe their benchmark comp is on a folding system. i wouldnt expect any amd in this section, because of price/performance for mainstream systems, but i did expect to see it on entry level workstations. maybe it because of the certain death of the am3+ socket, but not for performance reasons. sure it doesnt perform in single threaded apps, but professional programs are not single threaded but are very multi-threaded in which the fx processors shine. it sits right between the i5 and i7 on performance and price. when they drop the price(remember when the x4 955 was $239 when launched?) im sure you will see a lot more recommendations from other sites. by the way, your reply to a x4 955 overclocking thread on the forum was incorrect. the max temp of any phenom ii cpu is 62 deg C not 70 deg C. although 60 deg C seems to be the max operating temp without bsod. I’m considering adding a Tier 0.5 with a FX-6200, depending on its price when it’s available. Don’t know about Java dev, but if you’re doing more typical workstation applications, AMD isn’t a good solution at all – at any cost. Don’t assume something if you don’t fully understand it. You’re adding yourself to the fanboy population with that comment. If you look around here more you would realize how much “fanboyism” there is here. No intel fanboy I have ever seen would recommend AMD 12 out of 13 levels of video cards. Great build recommendation. I’ve been waiting for your mid-range workstation piece to appear. I’m planning to build a Tier 3 with a couple of upgrades (tier 4 memory and a Quadro card, maybe the SSD if I’m still within budget.) I apppreciate all the work you do to put this stuff together. Thanks! Do these builds require a graphics card, or can you use on-chip graphics? The workload I am intending this for needs no hardware graphics acceleration — just two 24″ monitors. They require a dedicated graphic card, since the Intel LGA2011 platform doesn’t feature any integrated video card. The recommended Geforce GT 520 will be plenty enough for your needs. How does the Tier 3 specs still hold up, and is there anything I should re-consider? Great review, but it is almost 2 years old. When are you planning an update for the workstations on the LGA 1150 and 8-series chipsets platforms? 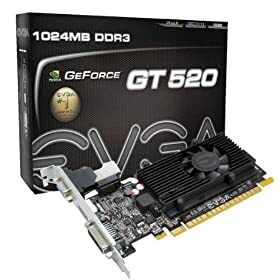 To summarize (after reading your more recent reviews for gaming), I think I would go with an i7-4770 (no OC needed), 2x8GB RAM (so I could later upgrade to 32 GB), and probably re-use my current GT 520 video card. 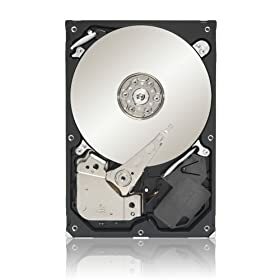 What motherboard would you recommend with that so that I can also connect 6 SATA drives (3 pairs of HD in RAID 1 that I will move from my current system), plus one SSD (maybe 2 eventually) for my OS, plus 2 DVD drives, etc… ?